Apple is announcing its quarterly results today after the market closes and with all eyes on iPhone and iPad sales now, hours before the unveiling and the conference call, we can take a final look at the expectations. This quarter is particularly interesting as for the first time in recent history there is a negative sentiment about iPhone sales as more and more people are said to be holding off purchases anticipating the next-gen device. Are those rumors true? We don’t know - so far we’ve got data from Verizon where iPhone sales dropped only slightly to 2.7 million and AT&T where the iPhone continues to dominate with 3.7 million iPhones sold. If we extrapolate this data alone, the number of iPhone sold this quarter shouldn’t stray too much from the first three months of the year. Now, analysts are bullish and the Street expects Apple to announce it sold somewhere around 29 million iPhones. The iPhone is the biggest driver of Apple’s profits so that’s where most eyes are on. Second most important, though, is the iPad, and it seems that here Apple has the potential to shine. Analysts project an average of 16 million iPads sold this quarter. Do you have any expectations or observations? Will Apple sell more or less iPhones this quarter? Chime in with your thoughts below. but what in the world will you do with yourself when you dont have apple articles to troll all day? And what are you doing now? Not trolling? Oh! I already see answer in your second comment: Comment #9 Lucas777: "im not hating on apple because i like them as a company..."
"...i am responding to your judgmental post..." Where do you see judgmental post? I just say that I hope that Apple will go down. Or I maybe I can't say that ? Also I'm not 'fishing' for any arguments, no one forecast you to reply! "… is not hating apple considering trolling now? my gosh" No, but comment # 10 is pure trolling. "and no, comment 10 is not pure trolling…" Yes, it is. It is ok. :) It is just my opinion, I don't have anything against iPhone, iPad, Mac, iOS... I just don't like Apple as a company. Despite my perosnal feelings regarding their current business strategy, Apple will continue to be a top-selling smarphone manufacturer for years, assuming they don't hit some kind of out-of-left-field roadblock, which at current is highly unlikely. Their sales will be steady, I think, even when the new iPhone and possible iPad Mini launch, as the competition is really surging forward. People are uprading to a new smartphone, not necessarily a new iPhone. iPad Mini will pull some sales from iPad, but not likely too much. Well lets see what these numbers will be like. I think they will be a bit lower because of the anticipation of the new Apple iPhone 5. This is usually what happens when Apple starts to get ready for a new launch. Apple will announce that they have patented Quarterly Results and are suing all US corporations immediately. They will then seek an injunction against all companies from announcing their own Quarterly Results by any form of electronic communication. All future companies' quarterly results will be required to be hand written on McDonald's napkins and distributed by carrier pigeons. Apple will be in decline until SG III, SG IV sales fall. The leading phone in Asia for the 1st time in years was the SG III. I have said this before the SG III is eating apples lunch, and based on the Apple stock market high, Apple will fail. Lets see if it hits 57 or holds 525 or even 485.00. Trust me I printed a stock scenario of this happening here a few months ago, and we are back for round 2. Apple is the be it all end all to what a smart phone was and is, and changed the game forever period. But now instead of innovating like when they 1st invented the iPhone they spend too much resources and time trying to block competition from Samsung and other competition. To win they need to start innovating and lead as they once did....Siri iPhone 4s was a rip off. Instead of leading they now are following the trend. They took too long to acknowledge the 4 screen was a great screen size, now the 4.8-4.7" phones are becoming the norm while they try to invite the 4 screen iPhone.....I like the innovation that they had in the past but it seems as if it went out the door to kill worthy competitors. 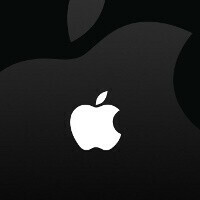 Wait until windows phone 8 launches in the future Apple ill not be a dominate force like in the past! that white apple looks clean and welcoming for costumers but what i have recently read,its relay full of s*it. white shell and brown stinky inside.